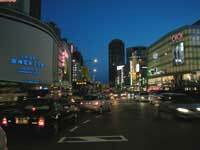 Kobe, very similar to the port town of Yokohama, is full of great spaces for pedestrians, including, the main strip, Flower Road, many arcades, underground passages, and the Kobe Meriken Park. While most of the lights in this area are white mercury lamps, Kobe Port Tower glows a brilliant orange. Looking from Port Island across the bay towards the Kobe waterfront, Meriken Park and Harbor Park, both places of escape for Kobe residents, are clearly visible. 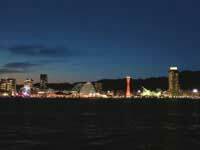 Another great way to enjoy this view is to hop on one of the many night cruises for a tour of Kobe Bay. The stage for the Hanshin Tiger’s victory parade, Sannomiya Station and Flower Road in downtown Kobe, a very a pedestrian friendly area with wide sidewalks for pleasant strolling. From the Rokko Mt. 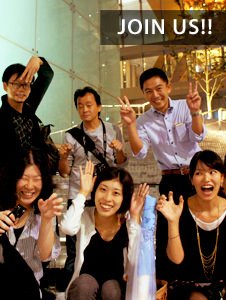 observation deck, one cannot only view the lights of Kobe, but also its neighbor, Osaka, and on a really clear day, the Akashi Strait. Maya Mt. 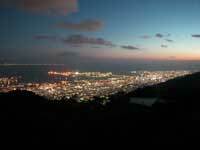 observation deck on the next ridge over, is a local spot, but also an incredible view of the Kobe nightscape.